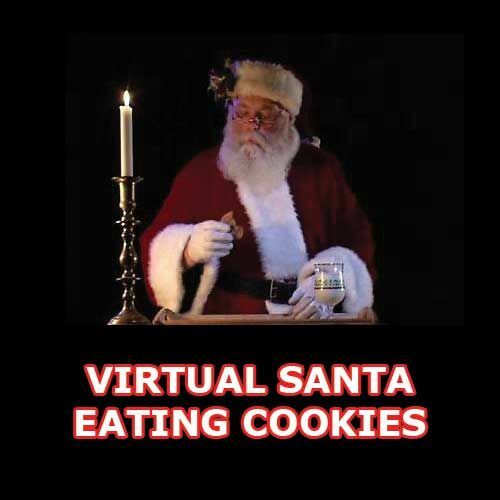 Virtual Santa walks around your home putting Christmas presents under the tree, he eats cookies, drinks milk, waives at people walking by in the front of your home, laughs and a whole lot more. Our Virtual Santa in "High Definition" projector bundle kit comes with many different effects to choose from. People from all over the world are buying one or many of our products listed below. IF YOU ARE MAKING A "PHYSICAL PRODUCT PURCHASE" - Your purchased items will be shipped directly to the address you provide us when you check out and will be shipped to you via USPS in the USA or USPS International shipping. If purchased in the USA, USPS priority mail only takes 2-3 business days. If purchased outside on the USA, USPS priority mail only takes 5-6 business days. IF YOU ARE MAKING A "DIGITAL DOWNLOAD PURCHASE" - Once you have purchased one of our digital download products, we will immediately send you a digital download LINK so you can begin your digital download. ONE OF OUR BEST SELLERS - This exclusive bundle comes with OUR 2300 LUMEN LED projector and Virtual Santa in "High Definition" and the “NEW” Virtual Black Santa in “High Definition” are both installed on an 8GB flash drive. YOU ALSO GET some ADDITIONAL special projection effects in this package, Santa by himself, SANTA with Mrs. Claus, SANTA'S Elves, SANTA VERTICAL (FOR SMALL NARROW WINDOWS) and MUCH more, over (35) effects. 1) VIRTUAL SANTA IN HIGH DEFINITION. 2) VIRTUAL BLACK SANTA IN HIGH DEFINITION. 3) 2300 LUMEN LED PROJECTOR. * 2300 Lumens of brightness. * Extended lamp life - 30,000 hours. * 1000:1 contrast ratio, you can enjoy movies even lights on. * New upgraded LED source technology. * Project a clear image without inflicting the same optical harm as TVs, laptops, and tablets. * Bigger than Bigger: The mini home projector throw up 32-176 inches. * Multiple Input Interfaces: HDMI/SD/AV/VGA/USB-in/USB-out/ Earphone slot. * HDMI&USB 5V ports, connect DVD/Cable Box via AV port. * Connect PS3 PS4 or X-Box ONE Wii via HDMI cable to enjoy games. * Comes with remote and extra connection cables. * Comes with excellent audio output. * THIS BUNDLE INCLUDES FREE WORLDWIDE SHIPPING! ALREADY HAVE A PROJECTOR WITH A USB SLOT IN IT? ... That's great, then all you need is our Virtual Santa USB in High Definition, installed on a 8GB SanDisk flash drive. YOU ALSO GET ... Some additional special projection effects in this package, Santa by himself, Santa with Mrs. Claus, Santa's Elves and Santa Vertical (FOR SMALL NARROW WINDOWS) and MUCH more, over (28) effects. * THIS PRODUCT INCLUDES FREE WORLDWIDE SHIPPING! YOU ALSO GET ... Some additional special projection effects in this package, Santa by himself, Santa with Mrs. Clause, Santa's Elves and Santa Vertical (FOR SMALL NARROW WINDOWS) and MUCH more, over (28) effects. HOW TO USE YOUR FILES - Copy these files to a separate flash drive or whatever your projector support as the input source, plug it into your projector, locate the source files, click play and you're good to go. Once you have purchased this product a digital download link will be sent directly to the e-mail address you made with your purchase so you can begin your digital download. 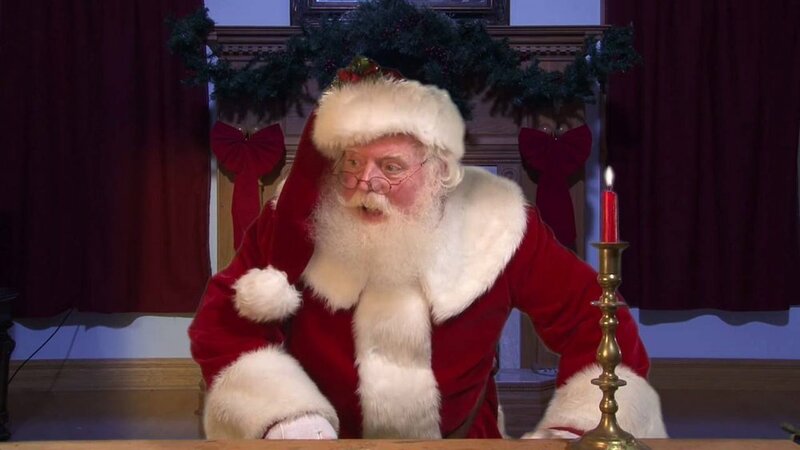 This product is a digital download and comes with the original Virtual Santa that was created in 2002, this Virtual Santa is in "Non High Definition". Virtual Santa 2002 comes by himself and is in "NON HIGH DEFINITION", this files plays for over several minutes. Virtual Santa walks around inside a house doing typical Santa tasks, from pulling present from a bag, to eating Milk and Cookies. Very realistic image and lighting that makes Santa appear to be lit by Moonlight as he leans towards the window. TO CREATE A DVD - Burn the *.VOB file only that you downloaded to a separate DVD, place it into your DVD player and you're good to go. TO PLAY ON A LAPTOP / OR PROJECTOR - Copy these files to a separate USB Flash Drive, plug your USB Flash Drive into the USB port, locate the correct file, click play and you're good to go. 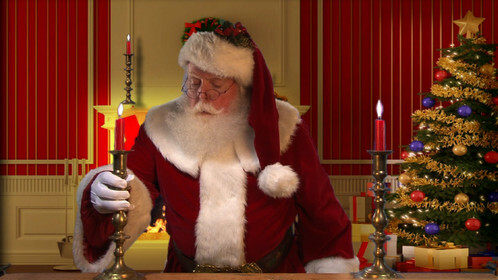 SANTA'S WORKSHOP IN HIGH DEFINITION - Everyone will be convinced that Santa's Workshop is in your home, or in your garage, there are many interactions with Santa, Mrs. Claus, Elves and his workshop to choose from, to see a glimpse of the dIgItal files you will be downloading, click on the video here. SANTA'S WORKSHOP is a premiere product for window decoration or garage door projection. Santa and Mrs Claus, his Elves are in the North Pole in the Toy Factory and around Santa's House. HOW TO USE YOUR FILES - Copy these files to a separate USB flash drive or whatever your projector supports as an input source, plug it into your projector, locate the source and your good to go. Because of popular demand, we have combined Virtual Santa and Santa's Workshop in High Definition. Both come pre-installed on a 8GB "SanDisk" flash drive as seen here! 2) Santa's Workshop in High Definition. * INCLUDES FREE WORLDWIDE SHIPPING! 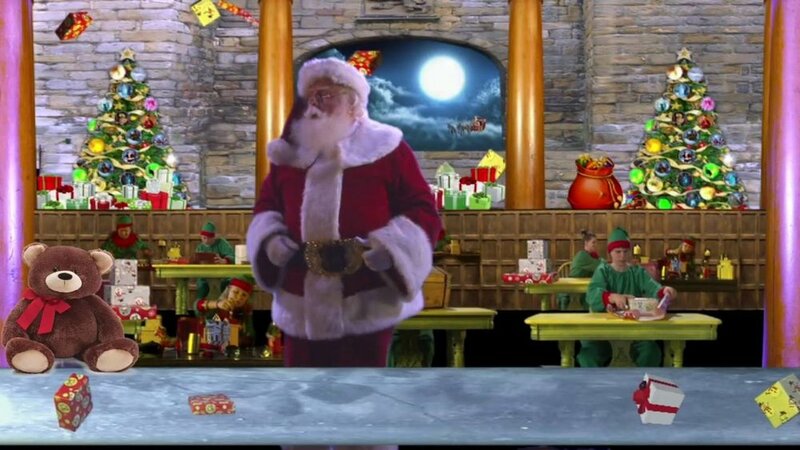 Because of popular demand, we have combined Virtual Santa and Santa's Workshop in High Definition. Both come to you in a Digital Download. Virtual Santa and Santa's Workshop in High Definition will convince everyone that Santa is walking around in your home or in his workshop. There are many interactions with Santa, Mrs. Claus, Elves and his workshop. SANTA'S WORKSHOP / VIRTUAL SANTA IN HIGH DEFINITION - is a premiere product for window decoration or garage door projection. HOW TO USE YOUR FILES - Copy these files to a separate flash drive or whatever your projector supports as an input source, plug into your projector, locate the source and your good to go! ALREADY HAVE A PROJECTOR WITH A USB SLOT IN IT? ... That's great, then all you need is our Black Virtual Santa USB in High Definition, installed on a 8GB SanDisk flash drive. Virtual Black Santa is a super jolly fellow with lots of Christmas Spirit, you can see Virtual Black Santa in his workshop making sure the Christmas gifts are getting taken care of, he will deliver presents, wave out the window, sing a few Christmas Songs, Weigh Presents at the North Pole, and read letters from Children - all in a variety of different background scenes. No additional scenes have been filmed with other characters, with exception of an Elf Girl who pops up briefly in one extra scene version.